Watch this space for everything you need for a successful parade day! We have happily announced our 2019 Parade Grand Marshals, Theme, and Gael. Learn about our wonderful 2019 Co-Grand Marshals here. The St. Patrick’s Parade airs live on NewsChannel 9 WSYR from noon to 3 pm. The parade route can be reviewed below. Watch our social media for updates on any road closings. Project Children (Wee) Division (3) – arrive at 12:00 Noon – line up near National Grid on Erie Boulevard West (Marshals will be there to assist you – please line up in accordance with the Marshals’ instructions). 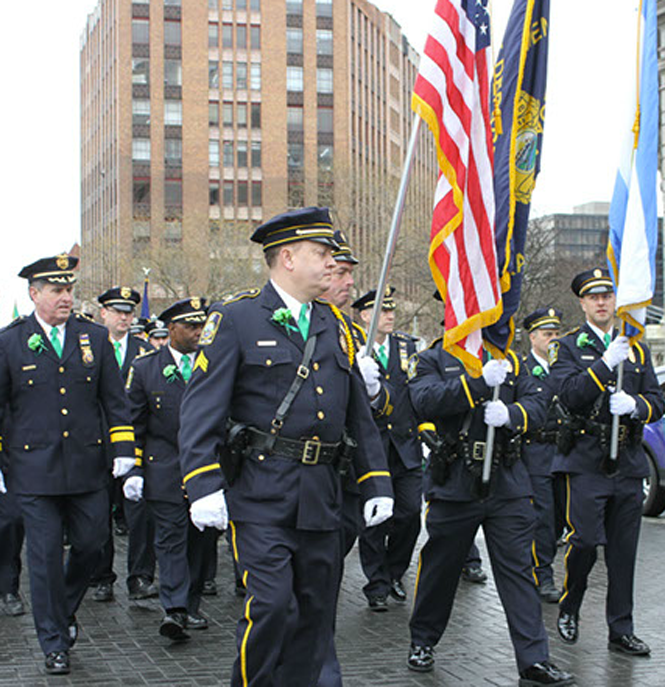 Leinster Division (4) – arrive at 12:30 p.m. – line up on Erie Boulevard West – west of National Grid (Marshals will be there to assist you – please line up in accordance with the Marshals’ instructions). Munster Division (5) – arrive at 1:00 p.m. – line up west of the 690 Bridge (Marshals will be there to assist you – please line up in accordance with the Marshals’ instructions). Ulster Division (6) – NOT BEING USED IN 2019 – arrive at 1:15 p.m. – line up near Plum Street west of the 690 Bridge (Marshals will be there to assist you – please line up in accordance with the Marshals’ instructions).